One of the big question marks for Texas is back in the fold for the coming season as Texas has signed Travis Morin to an AHL deal. It's a change from the past seven seasons, which have seen him on an NHL contract with Dallas. However, it's the right call. Morin is no longer a lineup option for the Dallas Stars but has the veteran experience and scoring touch at the AHL level to be an extremely valuable piece of the development puzzle. Putting him on an AHL deal frees up some contract space for other players. In the end, it's all coming out of the same account since Dallas owns the Texas Stars. Morin is the only player to skate in every season for Texas and leads the team in almost every offensive statistical category. He won both the regular season and playoff MVP awards when Texas won the Cup in 2014. The Texas Stars, American Hockey League affiliate of the NHL’s Dallas Stars, announced Friday the team has re-signed forward Travis Morin to an AHL contract for the upcoming 2017-18 season. 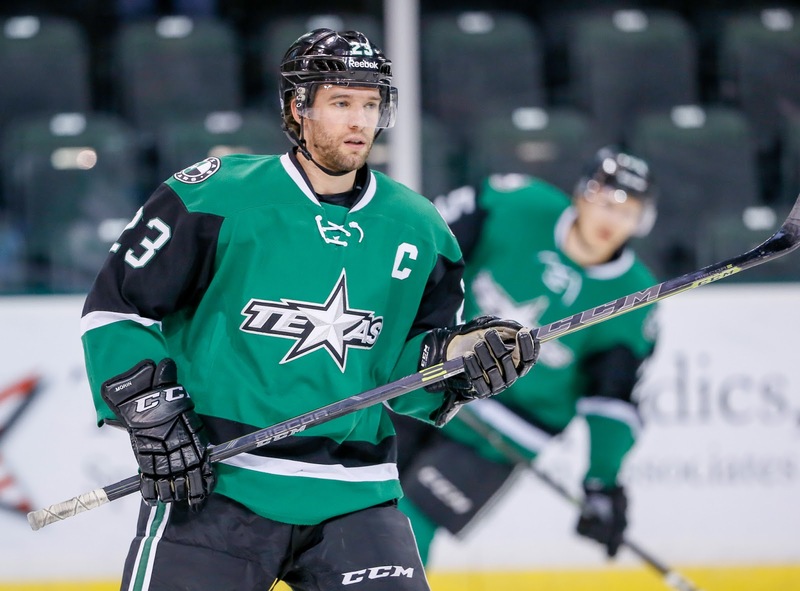 The Texas captain returns for his ninth season with the team and is the only player to skate each season for the Stars since their inception in 2009. Morin, 33, led the team in scoring last year with 55 points (21-34=55) in 72 games. The 6-foot-1, 200-pound veteran is the franchise career leader in games played (543), goals (157), assists (310), points (467), power-play goals (42) and power-play assists (140). During his time with the Stars, the Brooklyn Park, Minn. native has been selected to four AHL All-Star Classics (2011, 2014, 2015, 2016), appeared in two Calder Cup Finals (2010, 2014) and won the Jack A. Butterfield award as the Most Valuable Player of the playoffs in the Stars’ 2014 run to winning the Calder Cup. Morin was named the fourth captain in team history on Sept. 18, 2015. He and his wife also sit on the board of the Texas Stars Foundation, which issues financial grants to charitable causes throughout Central Texas. Morin is also a former winner of the Les Cunningham Award and John B. Sollenberger Award as the AHL’s regular season Most Valuable Player and scoring champion back in 2014. He has also appeared in 13 games for the NHL’s Dallas Stars during his playing career. Forward Austin Fyten is back with the Texas Stars for the next season. The Alberta native was signed on an AHL deal this past season and was key in stemming the tide of injuries that the Dallas organization suffered. After playing just six games with Hershey in 2015-16, Fyten played 59 with Texas in 2016-17. It is Fyten's third season with the Texas Stars, though non-continguous. He also played for the Stars in 2012-13. Fyten signed the contract on his birthday, May 3rd. The Texas Stars, American Hockey League affiliate of the NHL’s Dallas Stars, announced Tuesday the team has signed forward Austin Fyten to an AHL contract for the upcoming 2017-18 season. 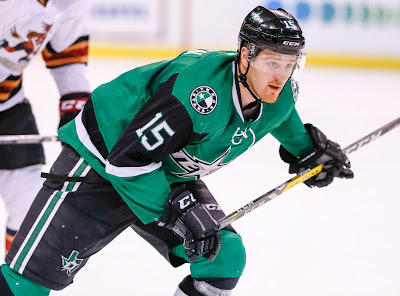 Fyten, 26, returns to the Stars organization for the second straight season and his third overall. Last year, the 6-foot-2, 200-pound forward appeared in 59 games with 12 points (6-6=12) for Texas. Fyten (FIGH-tehn) has appeared in 70 career games for the Stars and 187 games overall in his AHL career with Texas, the Hershey Bears, Lehigh Valley Phantoms and Oklahoma City Barons. The Sundre, Alberta native also has 76 points (32-44=76) in 102 ECHL games in his career. The Texas Stars added two players on AHL deals this afternoon, forward Sheldon Dries and defenseman Shane Hanna. Both come from schools with strong connections to Texas GM Scott White, who went to Michigan Tech and recruits heavily from Michigan schools historically. The Texas Stars, American Hockey League affiliate of the NHL’s Dallas Stars, announced Wednesday the team has signed forward Sheldon Dries and defenseman Shane Hanna to AHL contracts for the upcoming 2017-18 season. 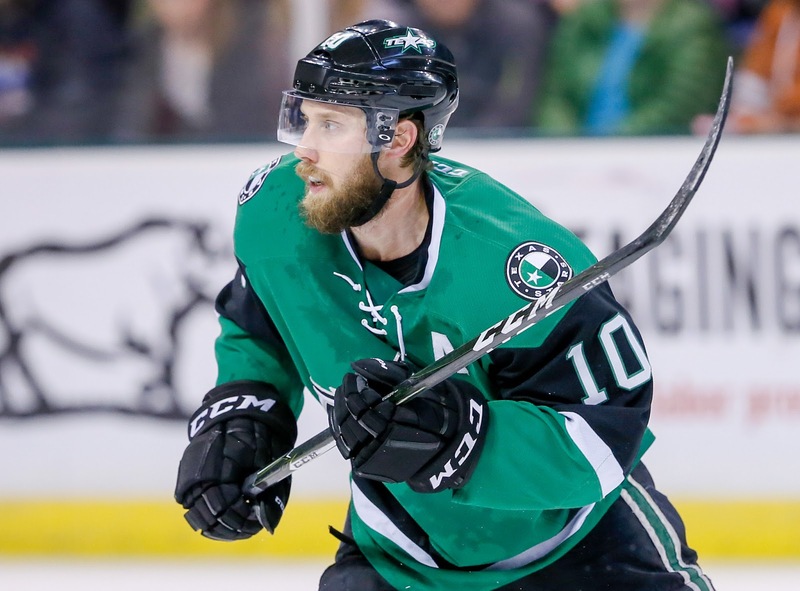 One of the Texas Stars big question marks was veteran forward Justin Dowling, who was an unrestricted free agent as the team headed into the summer. The Dallas Stars announced this morning that they have re-signed the Alberta native to a two year deal. Dowling had a break through year, playing in the NHL for the first time in his career. He totaled nine games, earning a pair of assists. Dowling was injured in Dallas in a late season call up and despite being reassigned to Texas, didn't play any of their final games. It gave him a chance to get an early step up on summer's recovery period. The two year nature of the deal is a vote of confidence in what Dowling has been able to do and his importance to the NHL and AHL club alike. Some remaining question marks include captain Travis Morin (Dallas UFA), Matej Stransky (Dallas RFA) and Brandon DeFazio (Texas UFA). The Dallas Stars have signed forward Roope Hintz to an entry-level contract. Hintz, a second round pick in 2015, is expected to start the season in Cedar Park next year. Dallas Stars General Manager Jim Nill announced today that the club has signed forward Roope Hintz to a three-year, entry level contract. Hintz, 20, registered a career-high 30 points (19-11=30) in 44 regular-season games with HIFK of SM-Liiga, the highest level of hockey in Finland. Hintz (ROO-pay HIHNZ) shared ninth in the league and first on HIFK with a career-high 19 goals on the season, while he ranked second on the club with 30 points. The forward also appeared in 14 postseason games with HIFK as the club fell in the bronze medal game. Hintz led the league with 11 assists and 14 points (3-11=14) in the postseason. Hintz has amassed 67 points (32-35=67) in 126 career regular-season SM-Liiga games with HIFK and Ilves. The forward has also recorded 20 points (5-15=20) in 34 career postseason games with HIFK and Ilves. The 6-foot-3, 205-pound native of Tampere, Finland was selected by Dallas in the second round (49th overall) of the 2015 NHL Draft. "I never expected to be here for hockey. When I came for a job interview [for another local company], I also interviewed to be a coach. Over the three years, I learned the story of Chaparral." That story was a tough one and familiar to anyone in the local community. As recently as 2010, Chaparral Ice was a multi-rink facility, operating three sheets across two locations in Austin. 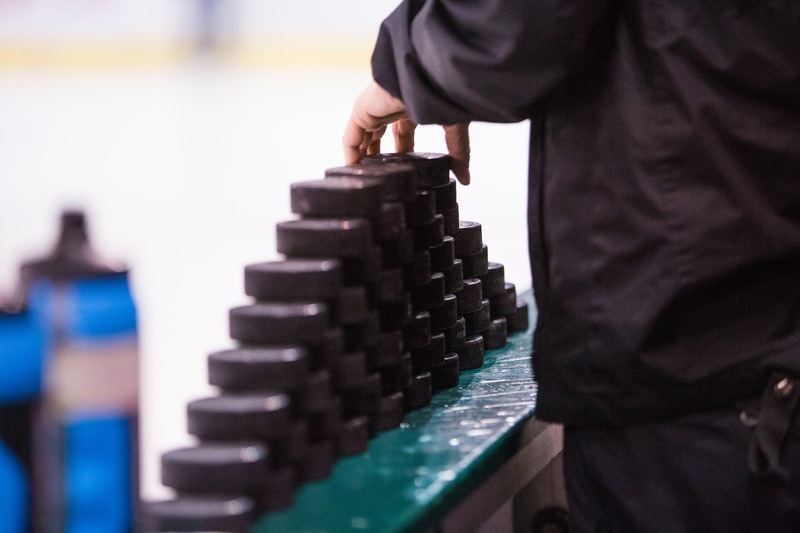 Poor management, fines from the city and the economic climate forced the closure and sale of the facility on I-35, closing two of the three public rinks in Austin. 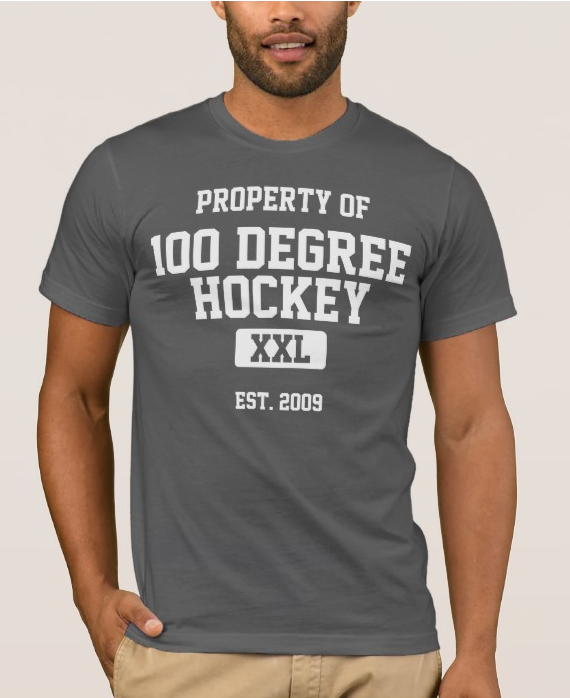 "So they operated at a baseline level, but the hockey community wanted to grow. I’ve had years outside knowing how organizations run, so I approached the family with an unsolicited offer to buy the rink." Raya grew up in the Northeast and has been coaching since high school. He grew up "being on the ice seven days a week." After a move to Virginia, Raya got involved in running multiple programs at rinks in the area. When he moved to Texas, he didn't expect to be involved in hockey but quickly got wrapped up in coaching at Chaparral. Raya's improvements are both small and massive. Simple things like upgrading the rink's internet, point of sale and website will make big differences for regular visitors. Upgrades to add figure skating locker rooms, a warm room for spectators, real locker rooms with dedicated showers, public restroom improvements and stands with infrared heaters will begin this summer and cost $600,000. Much to the delight of adult league players, the rink will also add a bar and concession stand. "It’s not about sustaining any more. It’s about growing." Chaparral is partnering with the UT men's hockey team to create a dedicated locker room for their team, including individual locker stall similar to what you would see in an AHL or NHL locker room. Projectors and white boards will be added to coaching rooms to increase educational opportunities for players. Their continuing partnership with the Texas Stars has them in talks to create an off-site pro shop for the Stars at the rink. 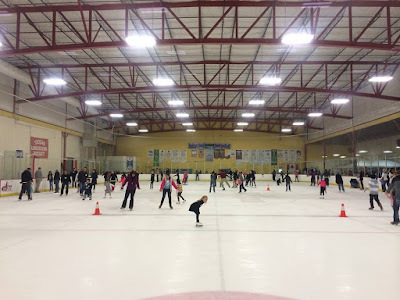 Even with all this work for the traditional ice sports of figure skating and youth and adult hockey, Raya still views public skate as a key part of what Chaparral does. "Your gateway to new participants is public skate. The gateway in a non-traditional market is that 'Hey, let’s do something different' thought." Rumours flew, of course, after the purchase of the ever-present possibility of more ice coming in Austin. "I’m going to leave the rumours as rumors for now. There’s a serious likelihood something gets started in the next calendar year." Raya noted that success for hockey in non-traditional markets comes when facilities partner to create multi-sport complexes. "We’re working on it. Part of the reason I made the offer was because I have an economics background and I spent a year making models. Running just an ice rink isn’t sustainable. What we need is to look at places that do multisport facilities and see that’s how hockey survives." Austin's geography makes that tough. Raya cites a report that was conducted showing the vast majority of hockey players in the area live in Cedar Park and Leander, making a facility there a viable option. He counters his own argument with the fact that there is another strong concentration, about one-sixth of the players, in south Austin as well. Regardless of when or how a new ice surface comes about, Raya's focus is community, quality and competition in everything that he does with the new rink. "We want to keep everyone playing together, do it well and be the center of it all." Throughout the summer, we'll take a look at some of the stories around the league. Today's article arrives on the opening day of the second round of the playoffs, which is full of surprises. Prohibitive favorite for Calder Cup Finalist (and potentially league champ) Wilkes-Barre/Scranton was bounced in a decisive Game 5 by the Providence Bruins. It was a completely unexpected outcome for nearly everyone. The Penguins led 2-1 after three games but had a disappointing Game 4 where they went down 3-0 in the first period. That set up a deciding Game 5, which the Bruins won 2-1. More from Chirps from Center Ice and Seth Lakso at Citizen's Voice. Another Atlantic Division favorite, Lehigh Valley, was knocked out in Round 1 by Hershey. The road team won every game in the series. More from Tony Androckitis at Highland Park Hockey. Everywhere else, things went according to plan. The higher seeded team won six of the eight first round matchups. Three of those series ended up in a decisive fifth game, including San Jose and Stockton, a surprise given the strength of the Barracuda all season. It even took overtime to settle the series in Game 5. San Jose advanced on Ryan Carpenter's OT goal. More from the Mercury News. Jack Campbell was bounced from the playoffs as his Ontario Reign had goalie injury issues that pressed their third goalie into service. Campbell was expected to be out for the deciding Game 5 against San Diego until Jeff Zatkoff, the expected starter, was injured in warmups. Campbell dressed as the backup as Jack Flinn started. After Flinn allowed three goals int he first, Campbell played through injury, allowing only one goal the rest of the way. The Reign offense could not activate for him and the club fell 4-1. More from LA Kings Insider. Elsewhere, Syracuse and Toronto advanced with 3-1 series wins over St. John's and Albany. Both series wins put an end to hockey in the losing club's cities. The Canadiens will be moving their franchise from St. John's to Laval, QC, next season. The Devils will head to Binghamton, replacing the departed Senators, who will head to Belleville, ON. Grand Rapids and Chicago round out the Round 2 slate. Chicago had fits against a tough Checkers club while the Griffins swept Milwaukee. The upcoming series will take two weeks at most with the last game in three of the four taking place on May 17th, if necessary. While everyone in the NHL is excited about seeing another team added to the fold, the Las Vegas Golden Knights have a number of downstream effects on the rest of the hockey world. One of the most immediate is the development of their prospects in the AHL. The American Hockey League is not expanding next season. That means there will be 31 NHL teams but only 30 AHL teams. As the AHL has matured even more over the last five years or so, NHL teams have sought to have more control over their AHL affiliates. Several NHL clubs have purchased an AHL team outright to completely control every aspect of their affiliate's operations. On the other side, there are the independently owned clubs. They have different motivations (making money) than NHL teams (developing players). First of all, Las Vegas will be sharing an AHL team with another club. Regardless of who it is, that's going to be awkward. 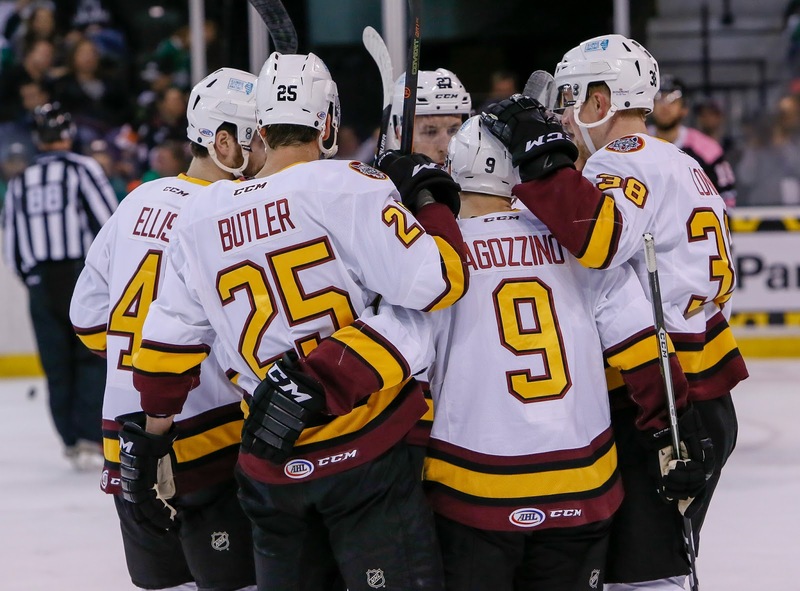 It's reportedly the Chicago Wolves, one of the premier independently-owned clubs in the league. If true, Golden Knights prospects will be intermixed with St. Louis Blues prospects for at least the 2017-18 season. Numerous coaches quotes across the league have indicated how much say the NHL club has in which players make it into the lineup. The answer is quite a bit. Texas Stars fans have seen this with players like Jack Campbell played inexplicably for long stretches in the 2015-16 season despite lackluster play. So this is where it gets awkward, doubly so. Let's say St. Louis has a top goalie prospect they want to develop who needs 50 games to really get ready for a future NHL career. And let's say Las Vegas picks a third goalie in the expansion draft who is more of the 'one year away' variety than the 'insurance' variety. Who starts more games in Chicago? The Dallas Stars were without an affiliate in 2008-09 between their time with Iowa and Texas. Prospects such as Aaron Gagnon were spread out across the league with no more than one on any team. The Golden Knights could still do something like that, as nothing has been officially announced yet. There is something also to be said for the fact that Vegas's prospect pool may not be as deep next season as the rest of the league. The most likely conflict is in net, since there are only so many positions available there. Of course, the true solution is adding a 31st team to the AHL. I'll editorialize about that later this summer.